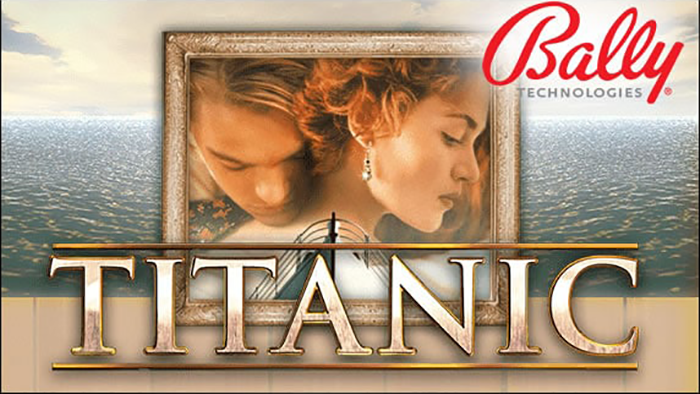 Titanic is a slot machine from Bally, which is themed around the 1997 movie which starred Leonardo Di Caprio and Kate Winslet. The Titanic movie is not a mystery to anyone these days, and with almost two decades since it was released, I’m sure that everyone that wanted to see it has already done so. Starring two young actors, Leonardo Di Caprio and Kate Winslet, Titanic proved to be a huge success, telling the story of the unsinkable ship that struck an iceberg and sank. The game’s vintage look borrows quite a bit from the movie, but there are also elements that look even better, meaning the ones which seem to belong in that time period. The slot’s system uses 25 paylines, and it can offer a top payout of $1,250, along with a Maxi Jackpot which offers $6,250. The design of Titanic features images of objects from that time period, along with photos of some of the main actors. It’s a good design, but it could’ve been even better when it comes to showing off the luxury of that ship. The game’s betting is done right at the beginning, in the intro screen, where you’re asked to choose a ticket for your ride aboard the Titanic. It can be a 3rd class, 2nd class or 1st class ticket, and the stake per line will vary with each one. At 3rd class, you’re using a line bet of $0.01. At 2nd class, it’s at $0.02 to $0.04. The 1st class wager is anywhere between $0.05 and $2.50. Since the game has 25 fixed lines, the bet will go up to $62.50 for one spin. There are quite a few symbols with special abilities in Titanic. One of them is a wild, sporting the Titanic Logo on a red background, and acting as a substitute for regular symbols only. It will not replace any of the other feature icons. One of the prizes to go after in this game is the Top Jackpot, which will give you 500 times the stake that you use, but only if you have five symbols which have the Jackrose, the Jackrose Double Wild or the Jackrose Wild on them. A random feature, which can start in any round, is the Mystery Double Wild. You get two to five Double Wild icons on the last four reels when this feature triggers. These act as wilds and they also double payouts that they contribute to, and turn certain symbols into double versions. There is also something called Mystery Wild Reels, which can turn two regular reels into wild ones. You even get a chance to see Jack drawing the famous portrait, and there is a special feature just for that, also started at random. For the fans of the Titanic movie, this feels like a perfect tribute to what it achieved, with graphics that feel appropriate for that time period, with lots of random features and with only average payouts.